The Kiev Pechersk Lavra (Kiev Monastery of the Caves) and the Holy Dormition Pochayev Lavra (monastery, the Ternopol Region of Ukraine) are owned by Ukraine as a state and have been leased out to the Ukrainian Orthodox Church (Moscow Patriarchate) for 50 years, the Ukrainian Culture Ministry said. However, if it turns out that some irregularities occurred in concluding the leasing agreements, the Ukrainian government might revise them, the ministry said. “The lavras are owned by the state. Such national heritage sites are not transferred to anyone’s ownership. The lower part of the Kiev Pechersk Lavra and the Pochayev Lavra have been leased out to the Ukrainian Orthodox Church (Moscow Patriarchate) for 50 years,” Andrey Yurash, the director of the Ukrainian Culture Ministry’s department of religions and interethnic relations, said in an interview with the online publication Glavkom. “The state granted the lease, and it is within the government bodies’ purview to decide on its future. That is, if it becomes clear that there were irregularities in leasing the lavra our, this could serve as grounds for revising the agreement. This issue is within the cabinet of ministers’ jurisdiction,” Yurash said. 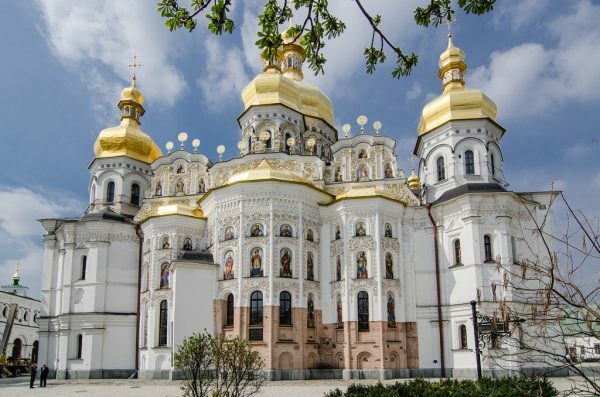 Earlier in September, the Ukrainian government website posted a petition saying that the Kiev Pechersk Lavra and the Holy Dormition Pochayev Lavra must be taken away from the canonical Ukrainian Orthodox Church. Moreover, Metropolitan Pavel of Vyshgorod and Chernobyl, the father superior of the Kiev Pechersk Lavra, said the monastery had received threats.